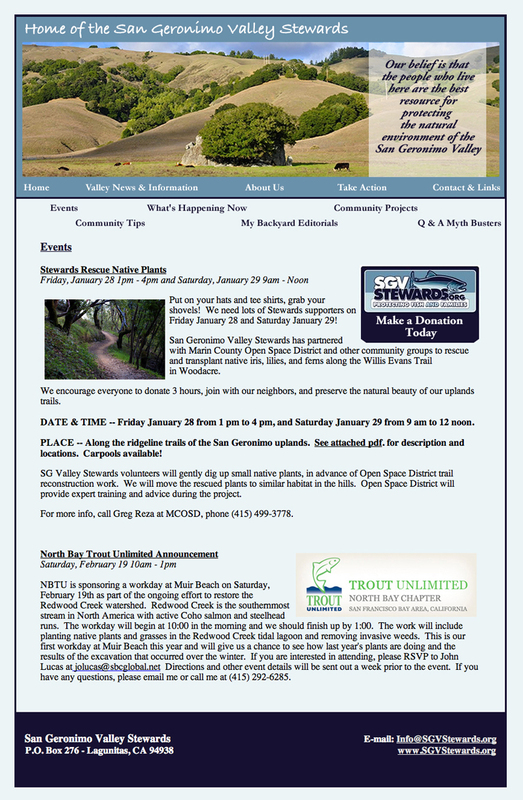 The San Geronimo Valley Stewards (SGVS) is a community based organization working to represent property owners in restoring our creeks through collaborative volunteer efforts. 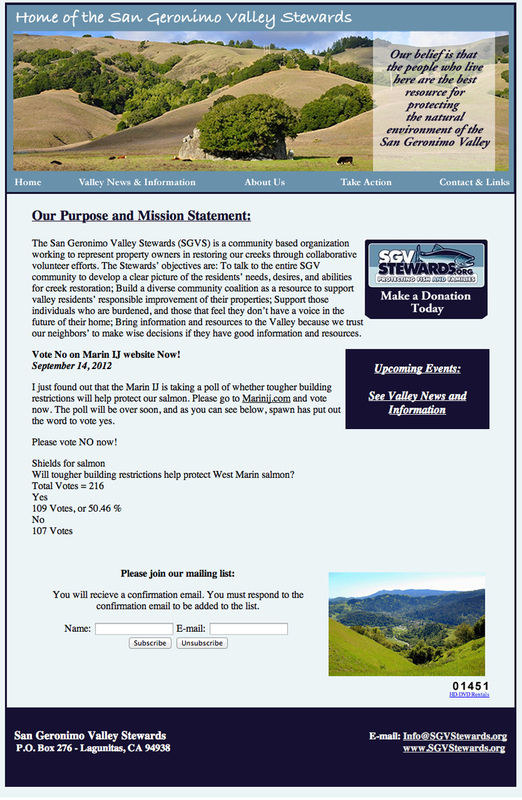 I have been working with San Geronimo Valley Stewards since 2009. I was hired to redesign their website and currently I maintain and update their website information on a monthly basis.